It's Almost Here -Halloween is coming. We have the year's first game marketing pumpkin to prove it. 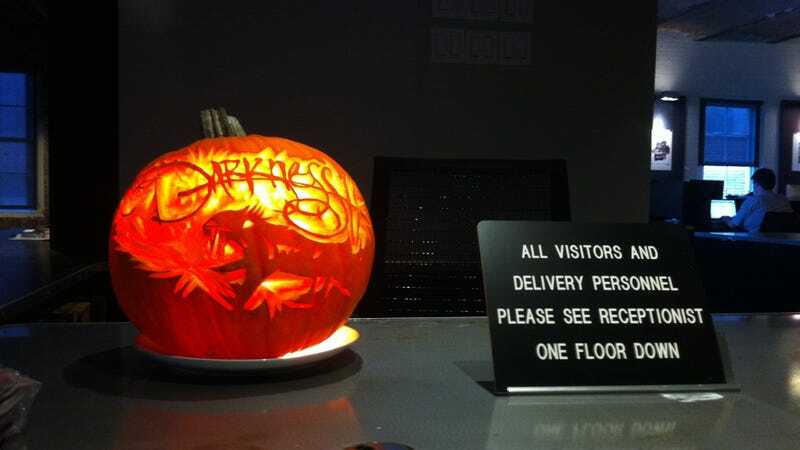 Which dev wants to prove they can out class The Darkness II pumpkin? Should You Buy Battlefield 3? Yes. Should You Buy Infamous: Festival of Blood? Yes. PixelJunk SideScroller is a 1980's style arcade game made for the 26th-century. It's a side scrolling-shoot-em-up that exceeds in everything it attempts to pull off.